Annascaul and Inch lie in the Southern foothills of the Slieve Mish Mountains. This range forms the backbone of the Dingle Peninsula and rises to peaks of over 2,000 ft. Mountains and beaches are an exciting combination offering amazing possibilities for recreation. 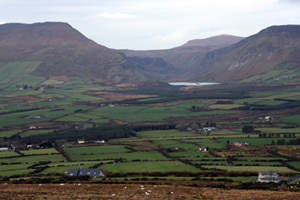 Walking in the area ranges from sea level to the mountains around Annascaul lake and river. Visiting Annascaul for a few days? Check out Annascaul House B&B in Annascaul or if you are more into backpacking visit the Dingle Gate Hostel Kerry for rooms and camping information. If you want to go self-catering contact the popular Four Winds. ‘The Dingle Way’ (Dingle Peninsula Ireland) passes through Inch and Annascaul. We also have our own way-marked walks. Where ever you walk the views are breathtaking, and the countryside unspoilt and the routs unfrequented. 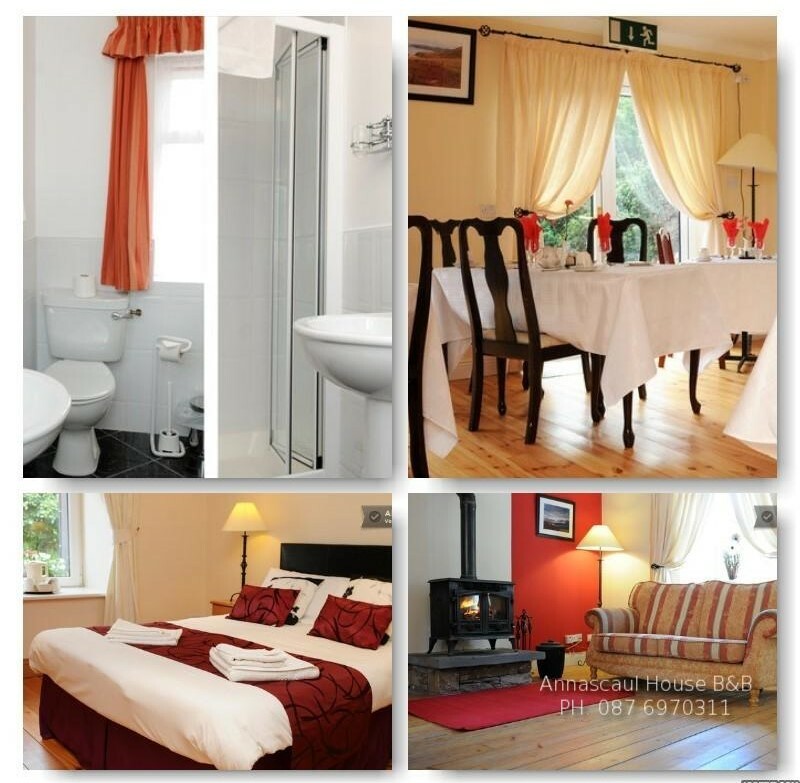 Check out our recommended Dingle B&B providers. Inch is a small community grouped around a superb beach. 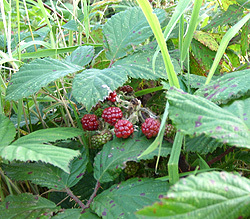 The area commands an excellent view of the Atlantic and the McGillycuddy Reeks, the highest mountain range in Ireland. 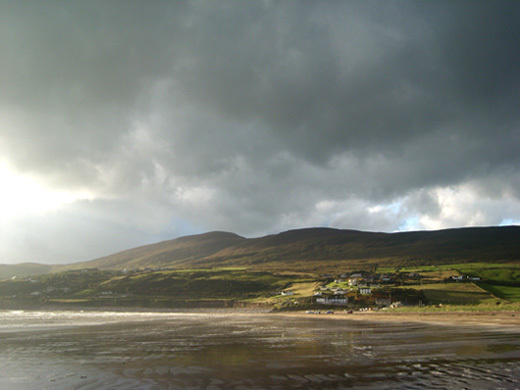 Inch Beach , stretching four miles into Dingle Bay, has been featured prominently in ‘Ryan’s Daughter’ and other films. Annascaul lake and rivers and Inch river provide excellent freshwater fishing. Inch strand is an acknowledged international shore angling venue. There are many beaches, including Inch where people come to swim, surf, canoe, sail etc. The peninsula is surrounded by the Atlantic Ocean and washed by the Gulf stream, giving pure ocean water, a mild climate, clean beaches and a pollution free environment. Apart from providing us with a beautiful strand the Inch sandspit and coastline is an area of geological, biological and ecological significance hosting an extensive range of wildlife. Annascaul is a small village that is perfectly located as a gateway to Dingle (15 min drive), Tralee (35 min drive), Castlegregory (35 min drive), Killorglin (35 min drive), Killarney (45 min drive), Inch beach (10 min drive), Minard Castle & Beach (10 min drive), Bunineer Beach (5 min drive) and Annascaul Lake (10 min drive). The village has many pubs that serve food, a Guesthouse/restraunt, post office, two convenience stores, lots of Bed and Breakfast and self-catering accommodation and plenty of road and hill walks. It also boasts a custom arts centre and a state-of-the-art sports centre. Every year the Annascaul Walks! walking club attracts hundreds of hill and road walkers to the village for the annual walking festival. What a great place to live and visit! !